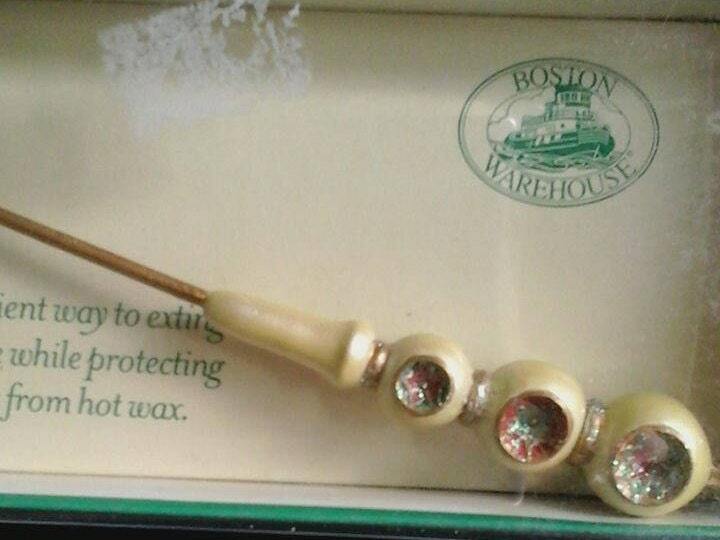 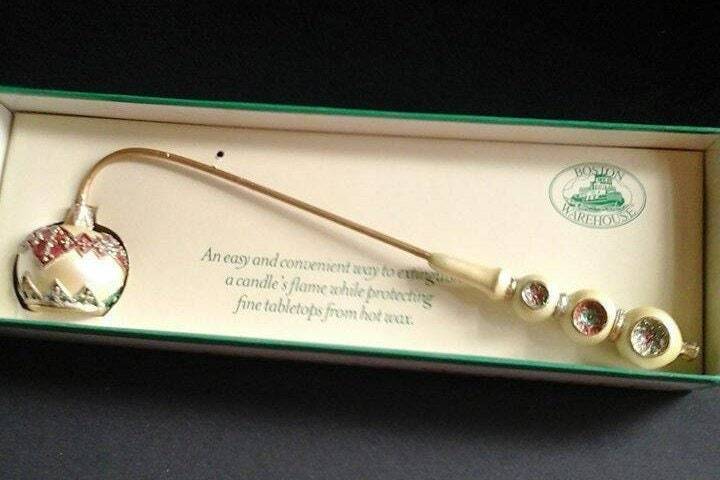 Vintage Christmas Candle Snuffer, from Boston Warehouse, 1999. 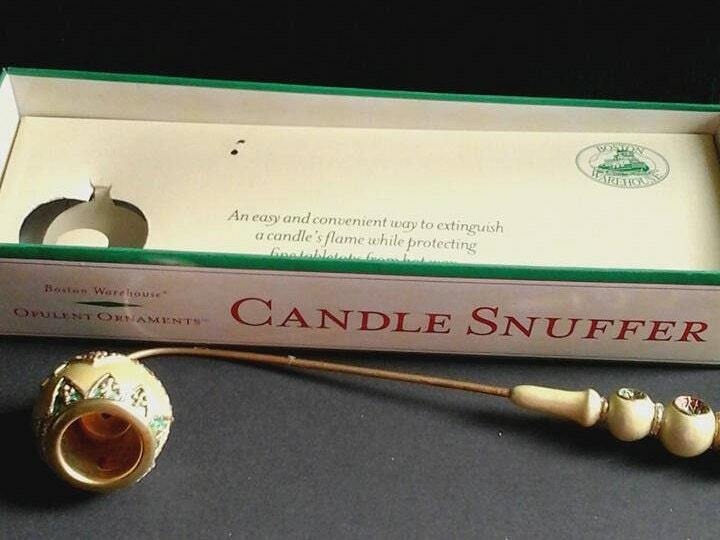 10" in long, snuffs out candle's flame while protecting furniture from hot wax. 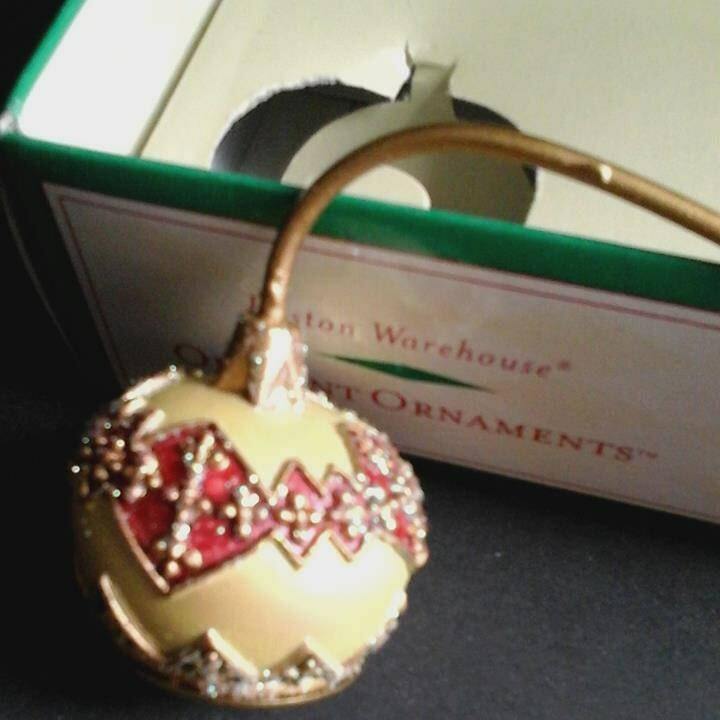 Gorgeous opulent colors. 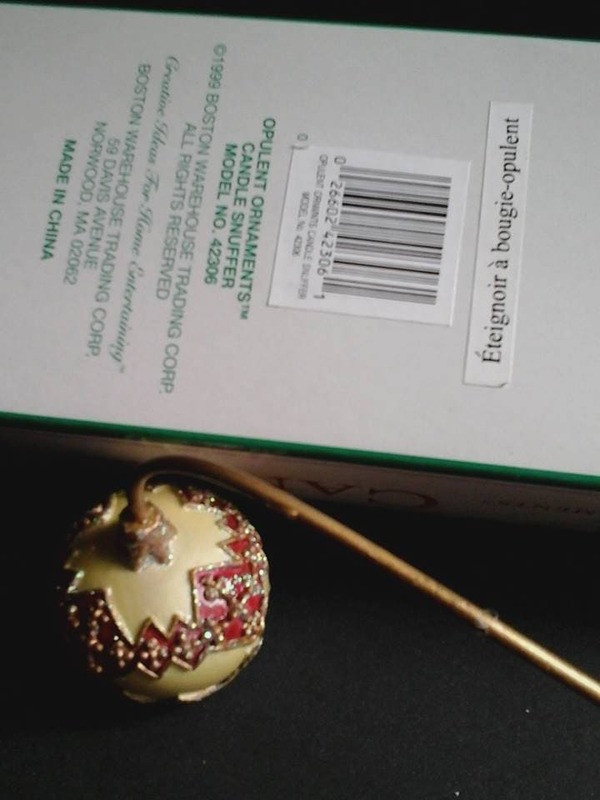 Makes a lovely Vintage Christmas decor, or a Christmas gift for someone special.